Use CustomizerGod. 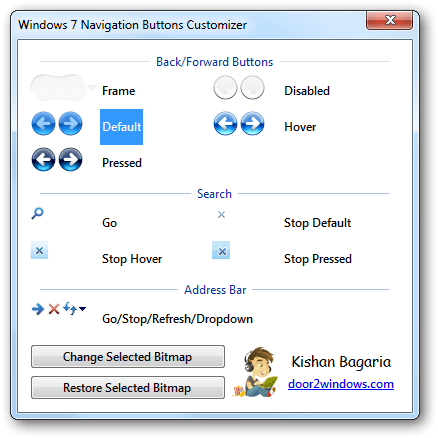 Windows 7 Navigation Buttons Customizer is obsolete, will no longer be updated and can cause problems. CustomizerGod is way more stable, fast and safe. Windows 7 Navigation Buttons Customizer is a freeware from door2windows that allows you to change the navigation buttons in Windows 7. 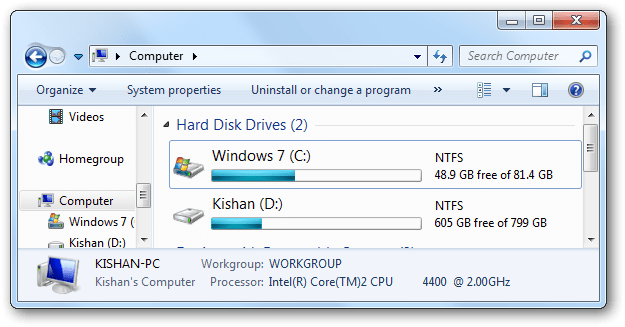 Select the bitmap that you want to change. 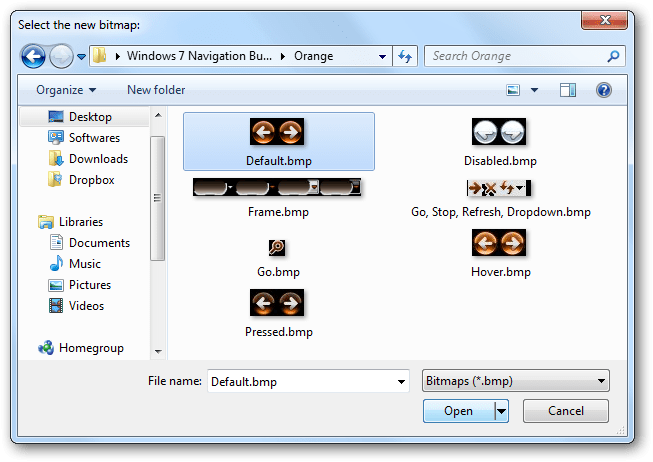 Select the new bitmap and click Open. If you don't have any bitmaps, get some from here. 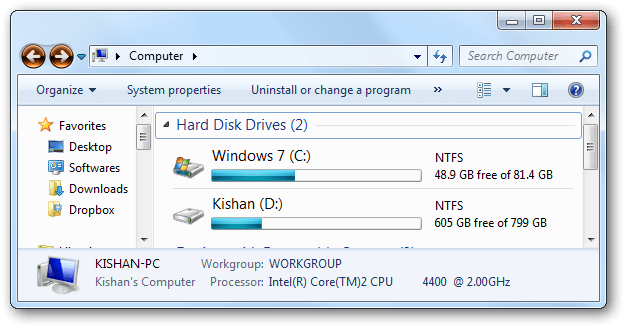 Now the Windows Explorer will restart and you will be able to see the new bitmap. To restore any bitmap, just select the bitmap and click Restore Selected Bitmap.